Embedded Sensors is a quantitative measuring instrument sales company in Pickering, ON. 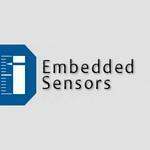 Embedded Sensors serves customers in such industries as the aerospace, automotive, industrial, and research fields. Incorporated in 1977, Stuart Vandersluis is the President - Operations and Marketing. Products Carried: Embedded Sensors sells premium quantitative measuring instruments for the the aerospace, automotive, industrial, and research sectors. Located in Pickering, ON, Embedded Sensors has product categories that include: Accelerometers, Encoders, Linear Position, and Load Cells. Other product categories include: Mass Flow, Pressure Sensors, Temperature, and Vacuum. With more than 30 years in the instrumentation field, Embedded Sensors provides expert solutions for any measuring problem.